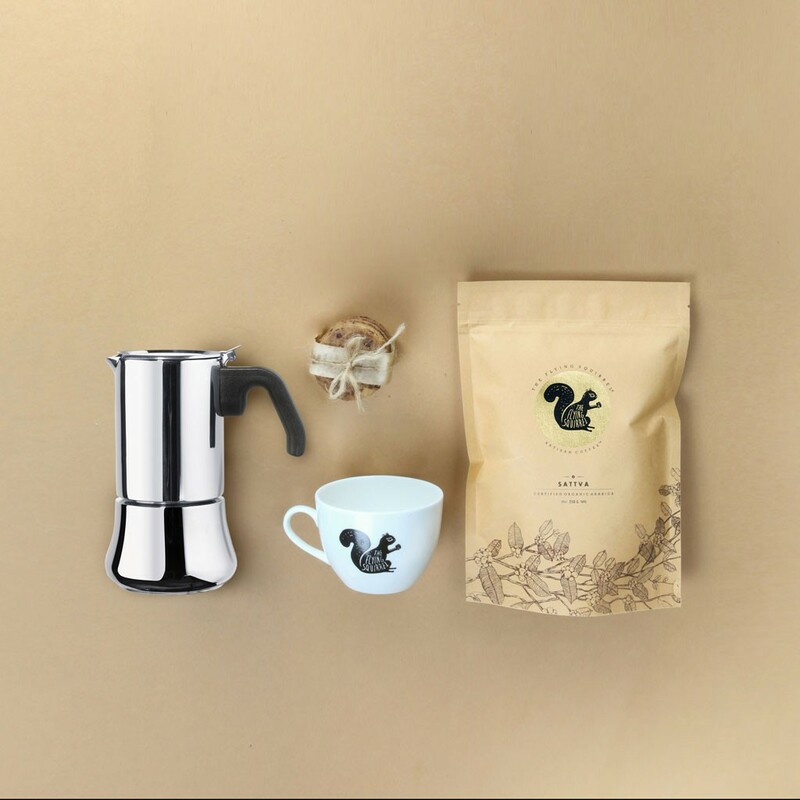 Enjoy a traditional espresso with The Flying Squirrel’s Moka Pot Combo Kit. The pot is designed to be both electric and stove top coffee pot. The Flying Squirrel’s Sattva is a great blend that lets you have amazing shots of espresso to get you jolting up. Enjoy it in The Flying Squirrel cup while snacking on yummy cookies.